For many American workers today, experiencing foul odors on public transportation is an accepted part of their daily commute. People traveling for vacation often deal with this issue too, regardless of whether they are traveling by bus, train, or plane. Nobody likes unpleasant smells, but nothing can be done about it, right? Wrong. MonoFoil’s powerful antimicrobial properties don’t cover up bad smells—they eliminate them, for good—and all in one easy and environmentally-friendly step. Public transportation has long held a reputation for being well, stinky, and for good reason. 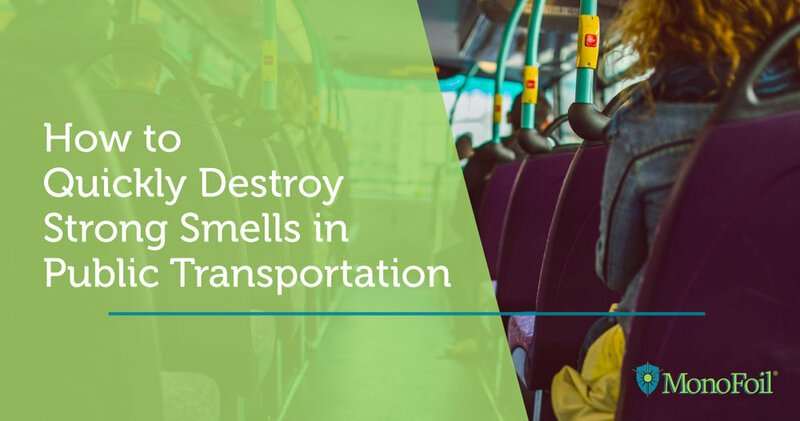 Buses and planes see a constant flow of commuters coming and going that creates a haven for odor-causing bacteria. 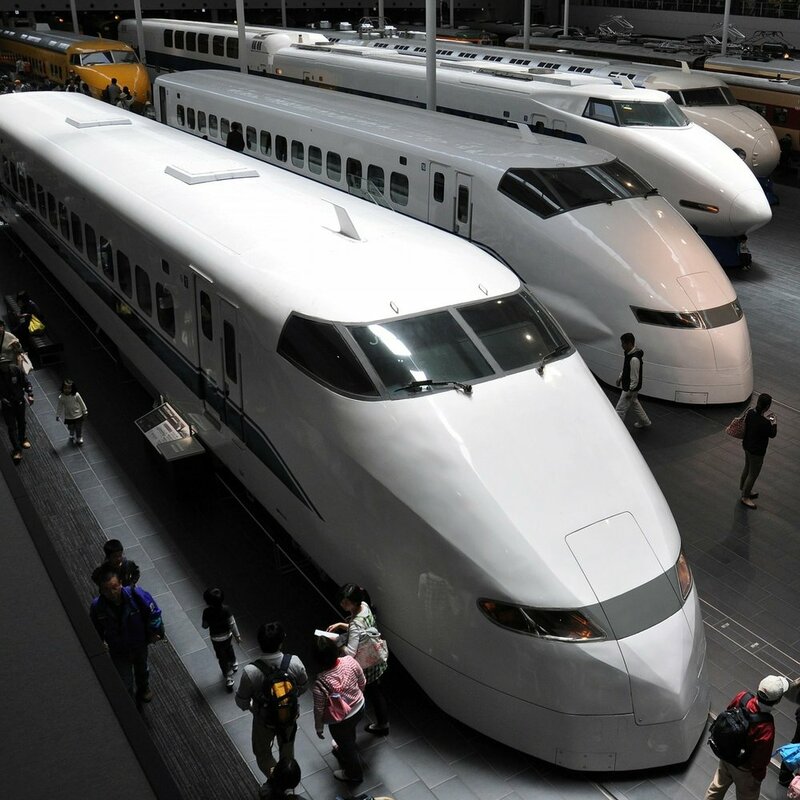 Additionally, light-rail trains face the perplexing issue of the damp nature of underground tunnels, an environment that can quickly turn into a breeding ground for a vast variety of molds and mildews. Traditional chemical cleaners require the user to apply a large amount of product and very often the fumes from the cleaner are more offensive than the smells themselves. While toxic fumes are unpleasant for all riders, they can be particularly problematic for sensitive passengers, causing everything from eye, skin, and lung irritation to migraine headaches. These potentially negative effects can keep people off of public transport entirely, as they choose instead to drive personal vehicles that guzzle gasoline and lead to congestion on public roads. During a recent study completed on the Los Angeles Metro system, MonoFoil was put to the test in a real-world scenario. LA Metro had a problem with recurrent urine and waste odors. Despite the best efforts of cleaning professionals, the stench lingered. Traditional chemical cleaners had promised results but the smell remained. With nothing to lose, LA Metro agreed to put MonoFoil to the test. Minutes after the initial application, LA Metro’s problem odor had dissipated completely! MonoFoil managed to succeed in eradicating where other traditional cleaners had fallen short. The source of the odor had been stopped in its tracks, and just as importantly, there were no chemical fumes left behind. Weeks after the initial application the smell was still undetectable because it had not merely been covered up, it had been eliminated! MonoFoil's unique quick-killing technologies and durable antimicrobial properties worked together, combining to destroy the odor-causing bacteria and protect the surface it was applied to. This dual-action one-two punch essentially creates a shield of protection around the area. Not only are existing bacteria, molds, yeasts, and other harmful microbes destroyed on contact, but MonoFoil also bonds to the surface it is applied to, making the area inhospitable to microscopic pathogens. No new microbes are able to settle in on the freshly cleaned surface, saving the user precious time that would be otherwise be wasted cleaning and re-cleaning the same area while at the same time supplying peace of mind that the job was done right the first time. MonoFoil’s proprietary formula is scent-free, no-VOC, nonstaining, hypoallergenic, and most importantly, safe. Though all MonoFoil products fight odor-causing bacteria, MonoFoil M: Odor Eliminator and Protectant was designed to specifically combat unpleasant odors and their sources. MonoFoil M: Odor Eliminator and Protectant is a more concentrated formula that provides up to 10x the protective antimicrobial power. It is color safe, allowing for it to be used on carpets and other upholstered surfaces with confidence. For a more cost-effective option, particularly when dealing with the industrial needs of public transportation, MonoFoil X, a gallon-sized concentrate, is the most practical route. The user simply needs to supply their own spray bottle and mix the MonoFoil X concentrate with ordinary tap water at a 1:3 ratio and apply normally. Since abrasive action can loosen the grasp between MonoFoil and its bonded surface, causing it to lift, a more frequent application is recommended in high-traffic areas. For these more high-use areas, the suggested application frequency is to start at once every ten days and reapply more often as needed. Due to its safety and environmental friendliness, MonoFoil can be applied as often as once per day, depending on the needs and usage of the particular surface. LA Metro is not the only big name discovering how MonoFoil can benefit their company; a growing collection of other household names are wizening up to the time and money-saving benefits that MonoFoil can introduce to their organizations. Auburn University, The Indiana Pacers, The Walt Disney Company, and MGM Grand are just a few examples of companies who have learned that MonoFoil simply works better than any of its competitors. Athletic departments across the country love MonoFoil’s antimicrobial qualities, which are excellent at protecting the long-term health of their artificial turfs and their student-athletes alike. MGM Grand capitalizes on MonoFoil’s ability to keep patrons of their Las Vegas hotels safe from bacteria and odors without exposing them to strong chemical fumes while the Walt Disney Company has found that by using long-lasting MonoFoil on the premises of Disney World they could drastically reduce labor costs and, like MGM Grand, reduce their customer’s exposure to toxic chemicals. Know an organization that could benefit from MonoFoil’s odor eliminating abilities? Share MonoFoil with them on Social media! While you’re at it, consider buying a bottle for your home so that you can reap MonoFoil’s benefits too! save it on social media!